Lunar Explosion, Power Metal Band with Neoclassical influences from Vicenza, will open for the legendary Iron Maiden guitarist Dennis Stratton. 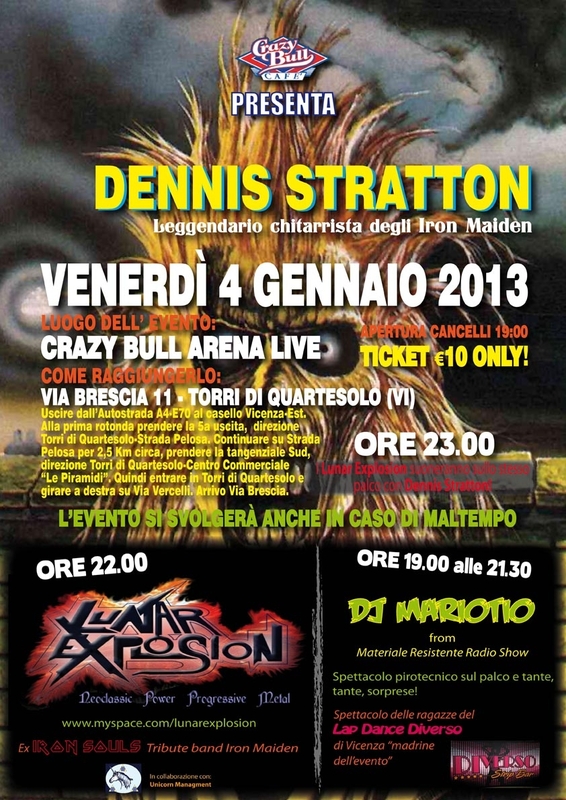 After opening for Extrema, Domine, White Skull and twice for the fastest guitarist in the world, Michael Angelo Batio, the band now opens for Dennis Stratton on Friday 4th January 2013, at the Crazy Bull Arena Live, Via Brescia 11, Torri Di Quartesolo (Vi), Italy. In this concert all the songs which made Iron Maiden the most famous metal band will be played. For the Lunar Explosion this is a great and true reason of pride which confirm the hard work of the band.